A practical course to learn how to control vehicles in the most common risk situations, and to get to know about electronic driving aids and how they work. – Driving position and safety in view of possible accidents. 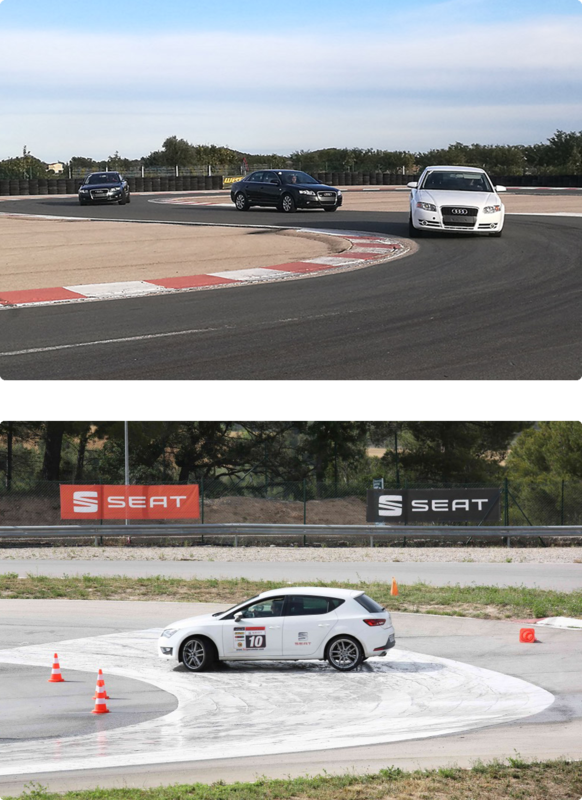 – Braking on different surfaces, asymmetric braking. – Types of skid and how to avoid them. – Fundamentals of driving line and order. Approaching corners.